**Please submit Highest and Best offer by 7 PM Tuesday 02-27-2018. Required forms are in the MLS documents section. **Welcome home to the unique condominium community of Waterside. Set on the banks of Pottsburg Creek this community features a pool to relax next to and a private dock from which to enjoy the water. 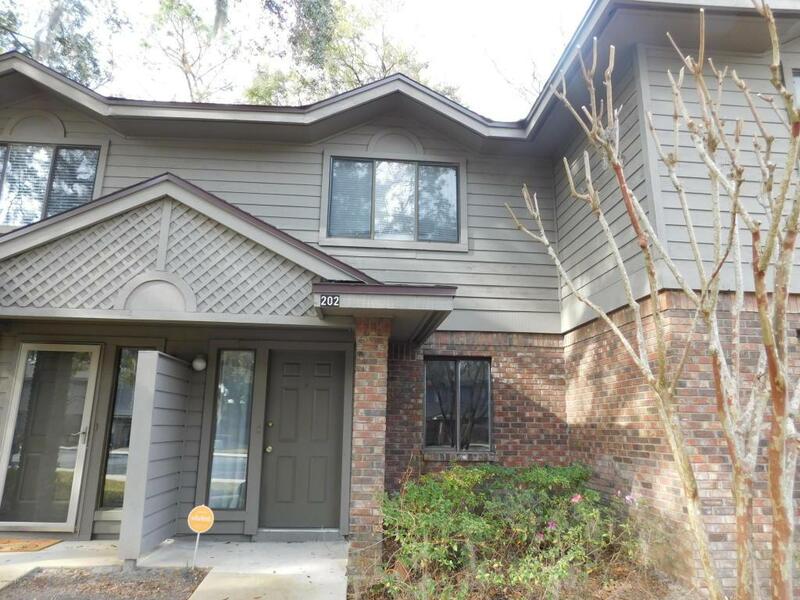 Featuring 2 bedrooms and 2.5 baths, this townhome style condo has an updated kitchen with microwave, smooth top range, and dishwasher, overlooking a living dining combo w/ wood laminate floors. Upstairs are two bedrooms w/ ensuite baths, laundry room with washer and dryer, and newer carpet. Outback has private lanai and storage closet. This property is being sold as a short sale, and as such is contingent upon bank and attorney approval.Sold "as is, where is" seller will make no repairs or pay for any buyer costs. Condo Fees are 295 a month, there is a special assessment of $408 this year to keep the monthly fees below $300, there is a transfer fee of $100, and a capital contribution fee of $25. Parking space is "B". Commissions and sales agreement approvals are contingent upon bank and lienholder approval, as well as seller attorney approval.